Detectives from the Lagos State Police Command have arrested the Baale of Ipakodo, Alhaji Tijani Awoyemi as well as three others for their alleged involvement in the murder of four family members on Sunday at Ibeshe area of Ikorodu. Those arrested along with the traditional ruler are Junior Christian, Owoyemi Bamidele and Alhaji Alaka Abayomi. The deceased were found dead in the house located in an isolated area of a bush at Ibeshe by some neighbours on Sunday morning. It was gathered that the assailants allegedly entered the apartment by cutting their way through the window. Meanwhile, the command uncovered the deadly shrine in the area believed to be the domain of the dreaded Badoo cult group after it had a high powered security meeting with the Divisional Police Officer in charge of Imota Division. The operation which was carried out in the early hours of yesterday, was led by Deputy Commissioner of Police in charge of operations, Imohinmi Edgal. 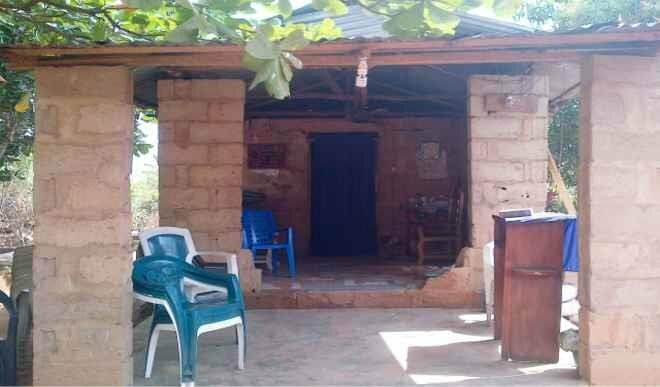 Baale of Ipakodo, Alhaji Tijani Awoyemi was arrested for allowing his domain to be used as a den for ritual shrines while Alhaji Alaka was said to be the owner of the shrine. The Lagos State Police boss, Fatai Owoseni who confirmed the arrest reiterated his earlier warning to Lagos residents against living in isolated and unsafe areas where they might be vulnerable to attacks by hoodlums and cultists.